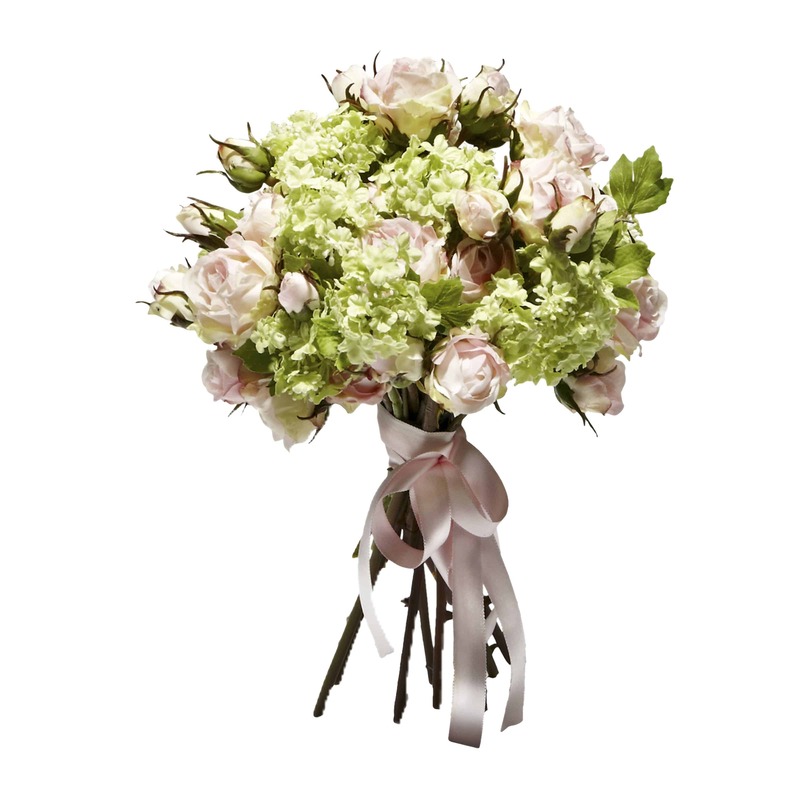 A fresh hand picked faux bunch of roses, lilac and mint set in a clear glass vase. 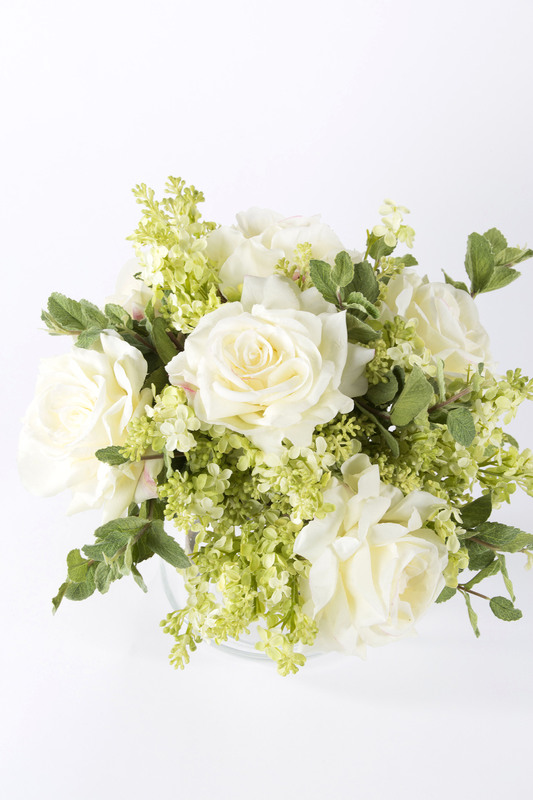 Open cream roses with delicate lime green syringa and rough textured mint are incredibly realistic. 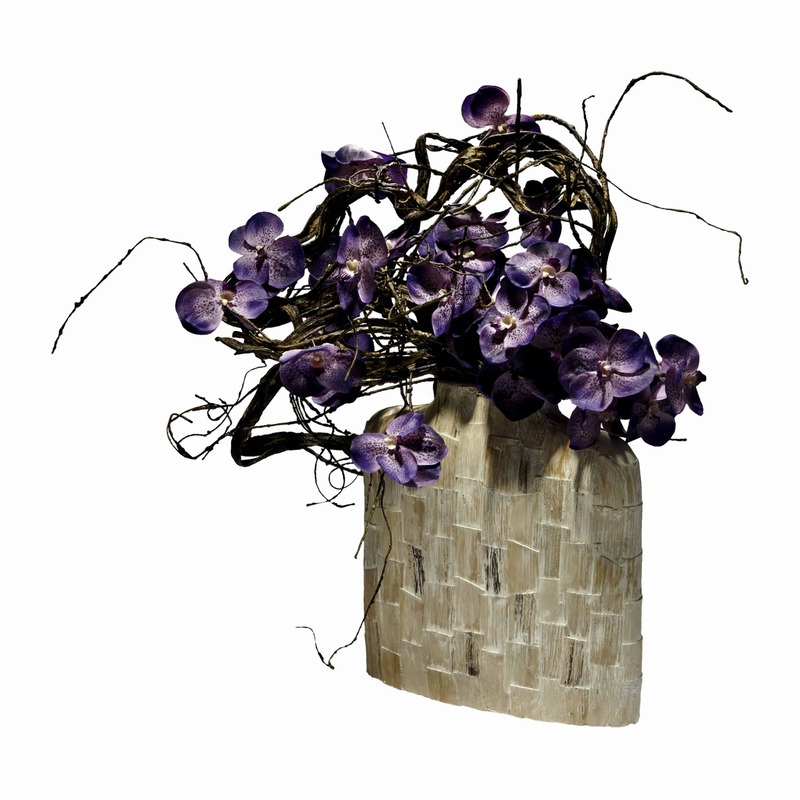 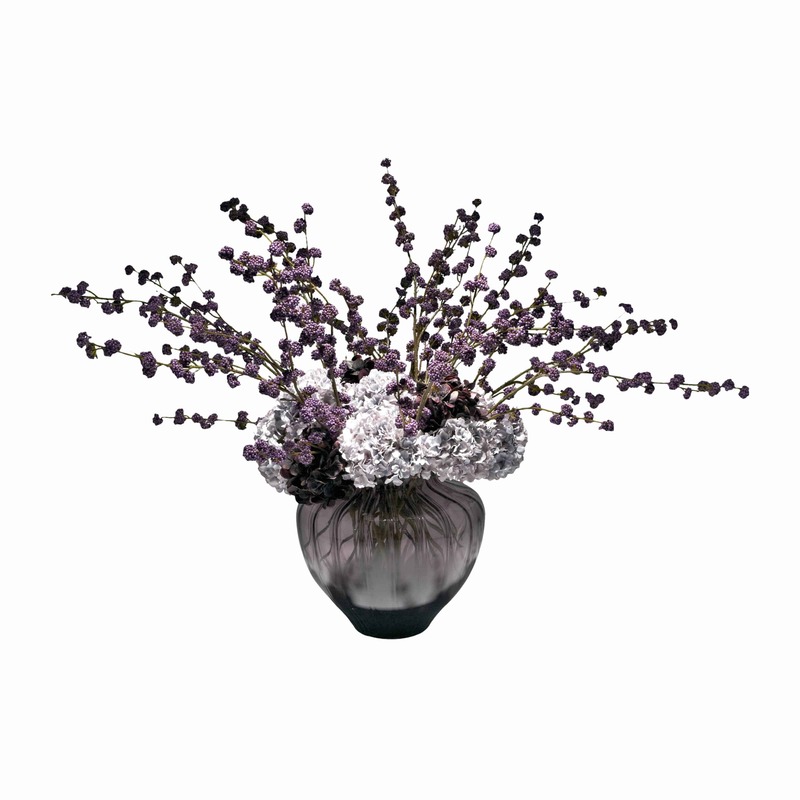 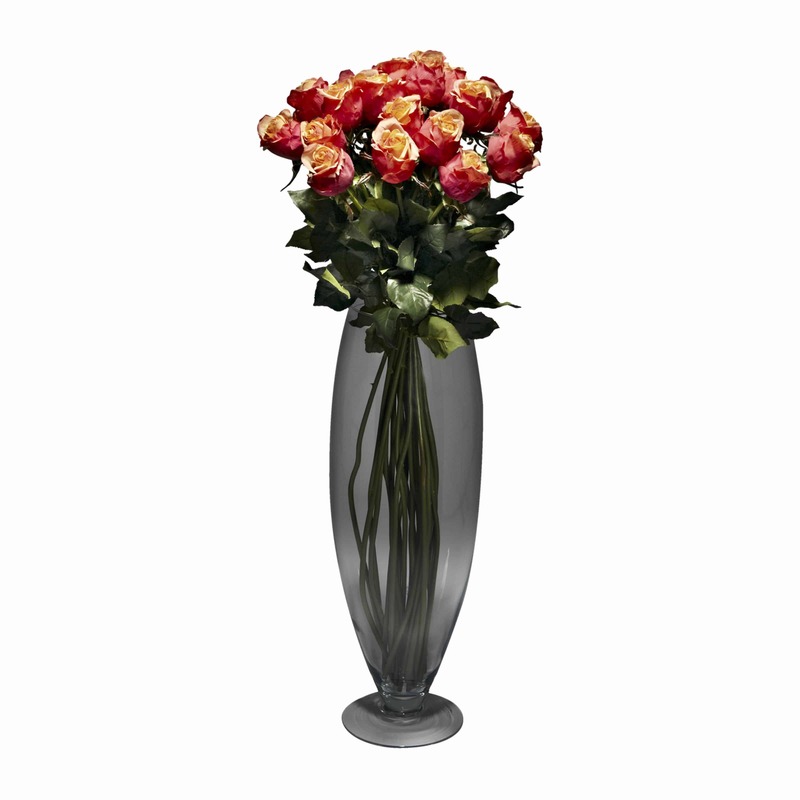 This round shaped fresh looking posy would suit any interior.